Inaccessible is Accessible: Last night Skynet wished me first! Was working late, to meet a deadline..adding the 2d animated lips to a 3d character .. The usual.. (More on this later) .. 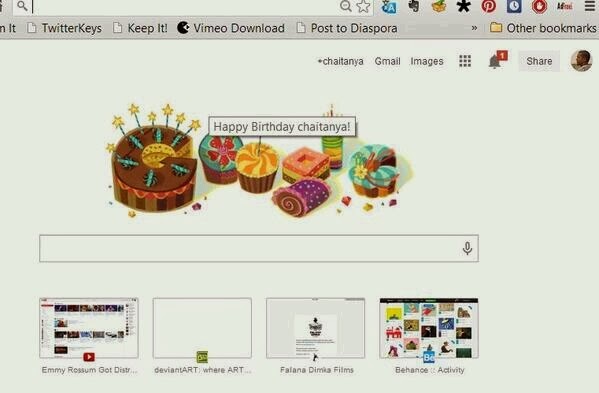 I needed to google something..so at around 12:30am I go to google.. And it wishes me happy birthday(via a google doodle)..before any living soul could. O google thou art Skynet!